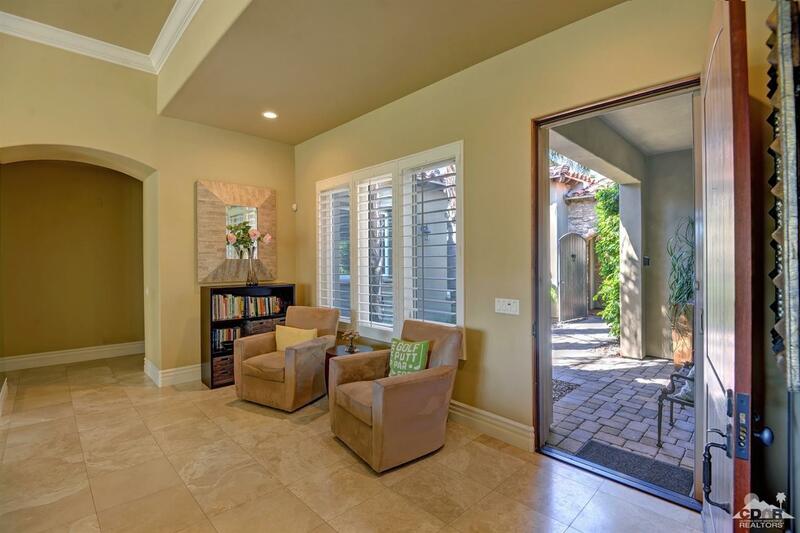 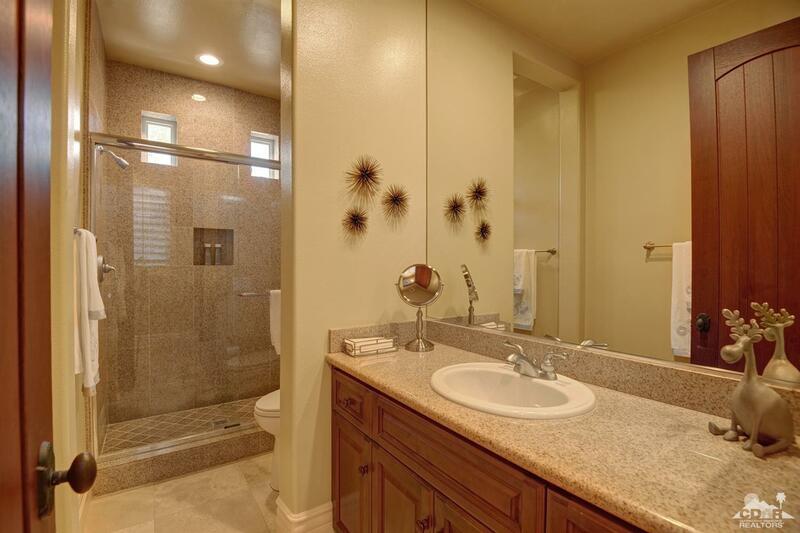 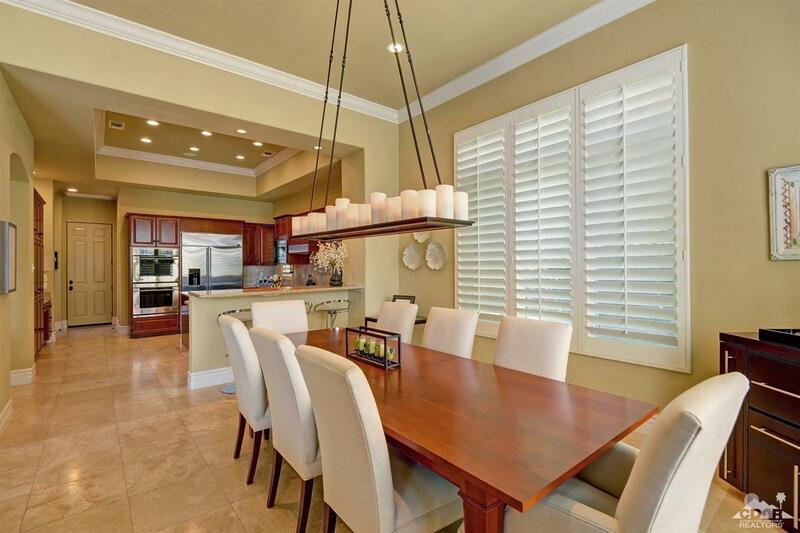 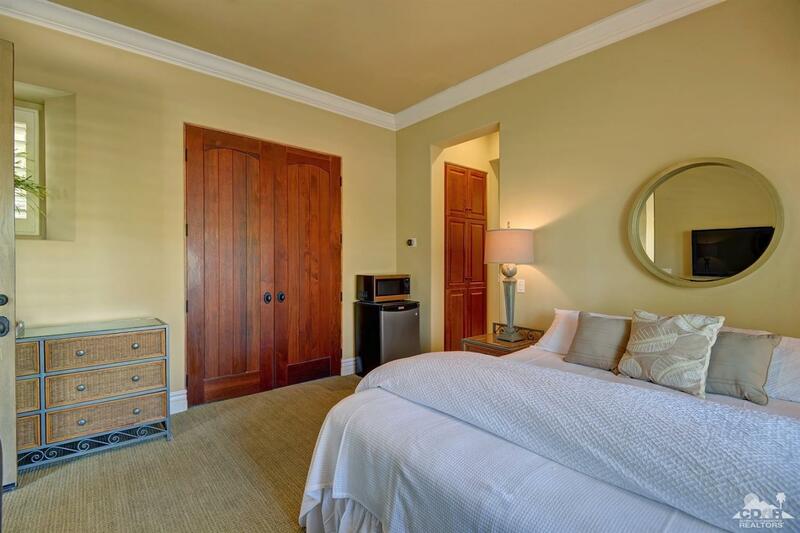 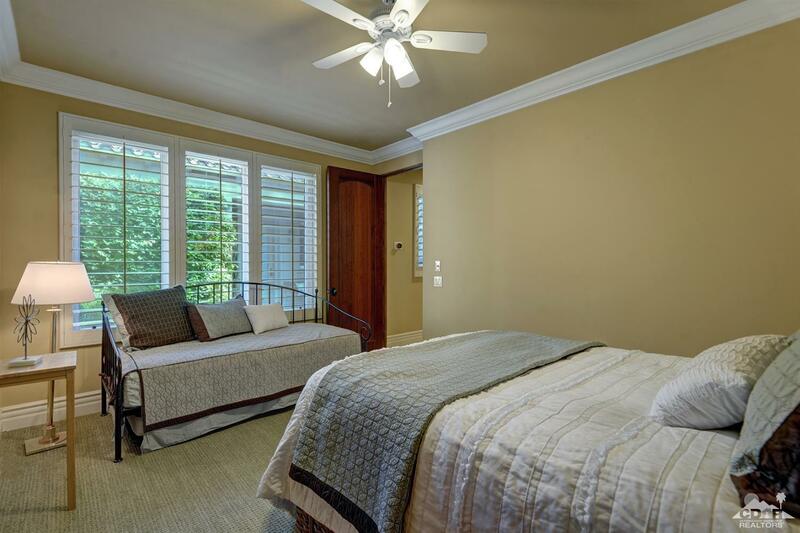 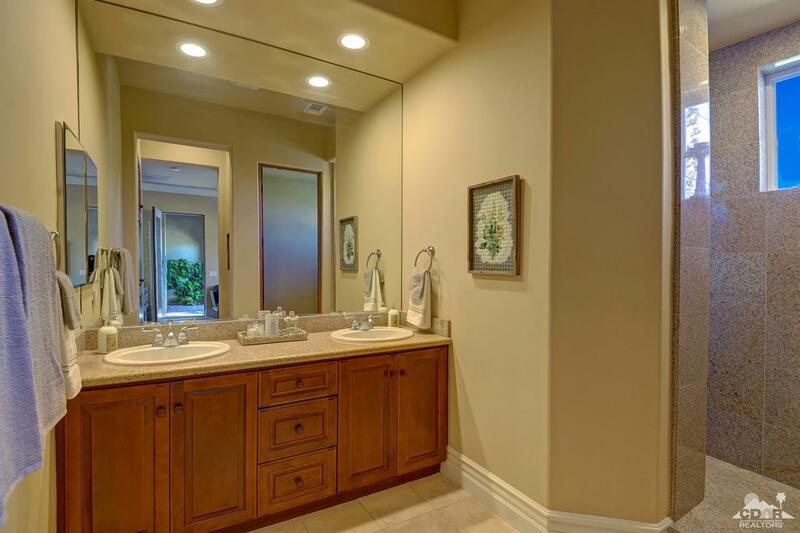 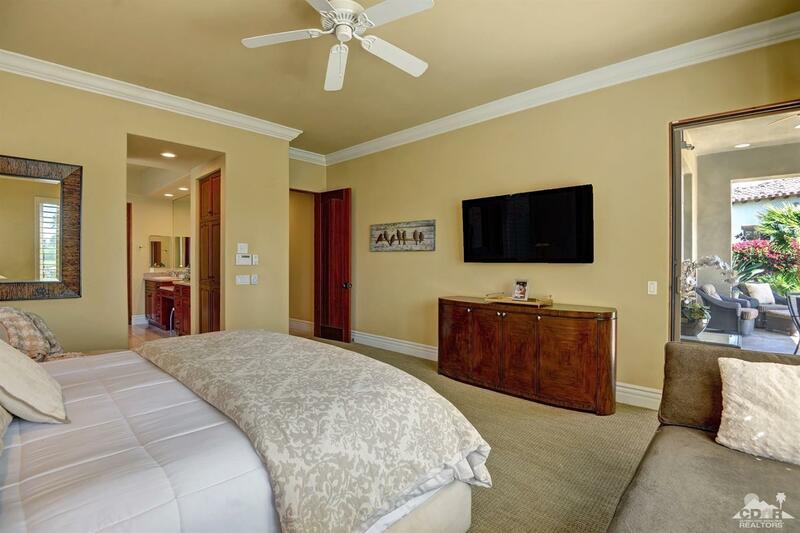 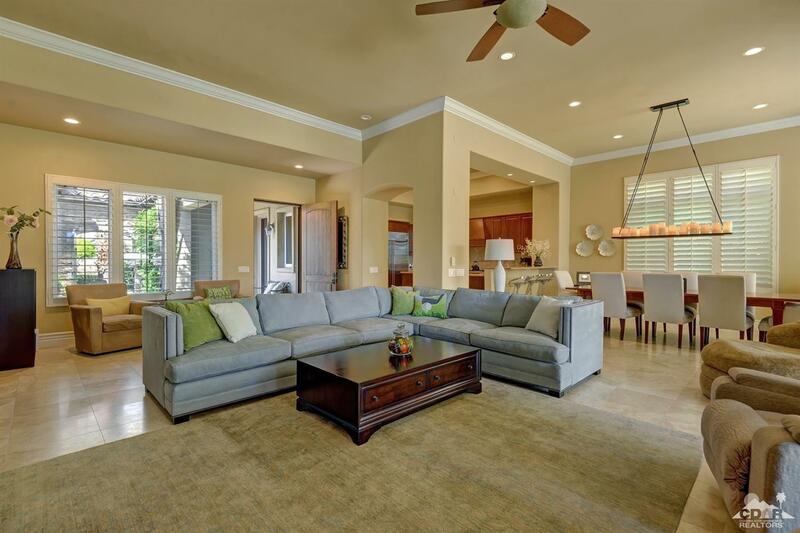 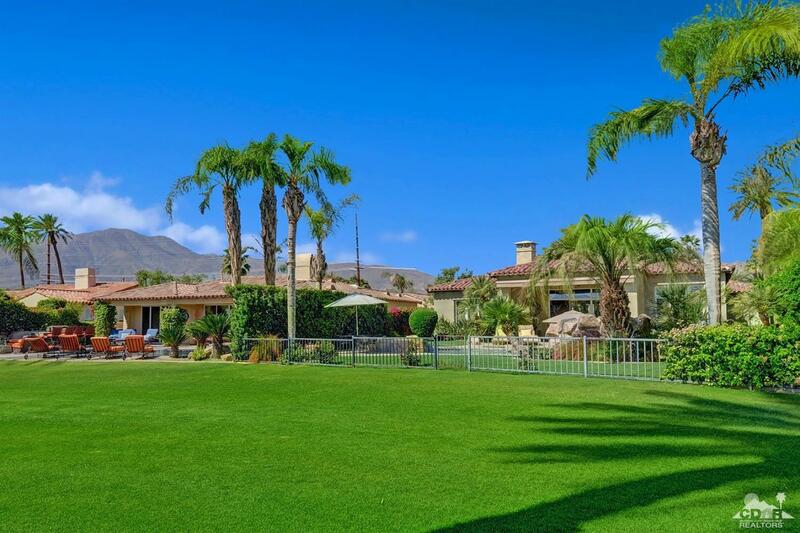 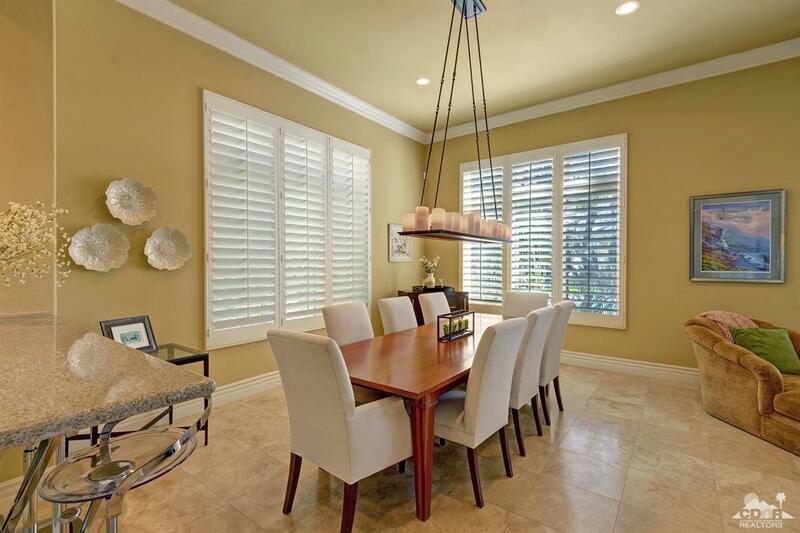 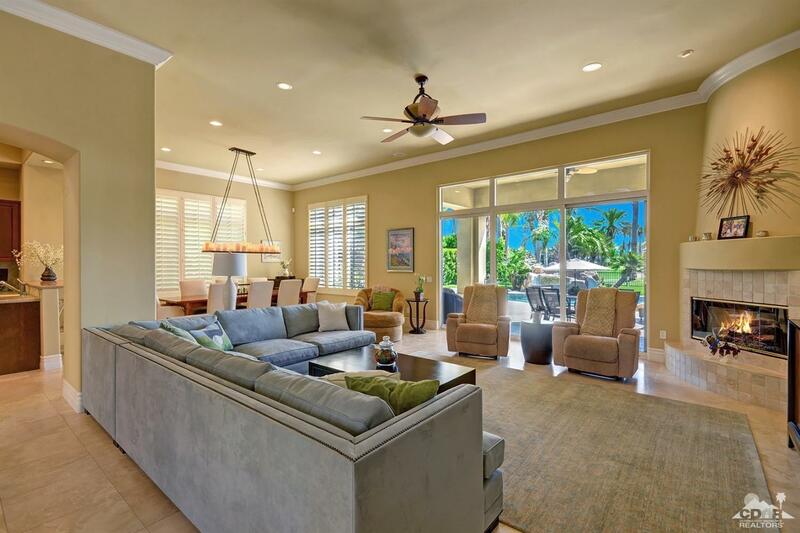 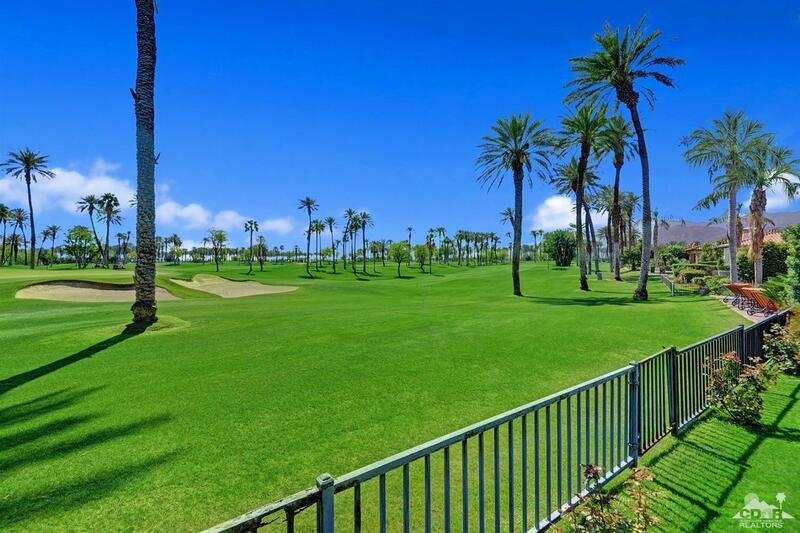 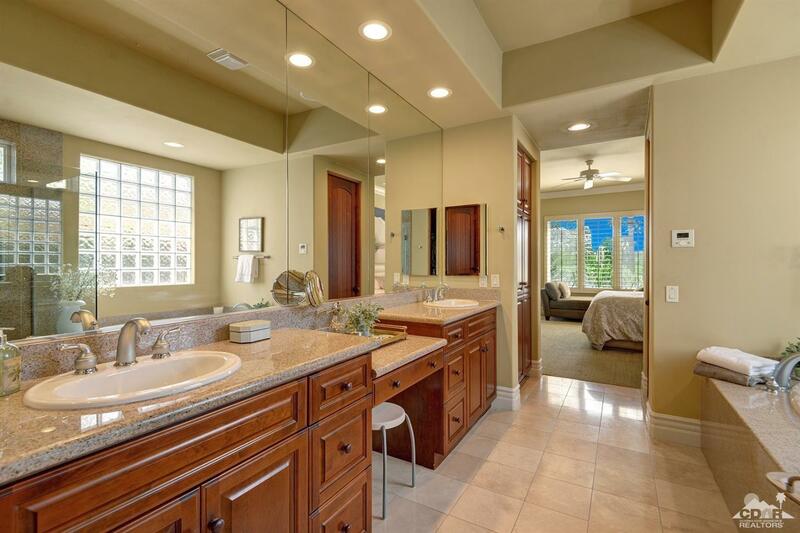 This gorgeous 3 bedroom home is set on a large lot on the 10th fairway of the Palms Golf Club. 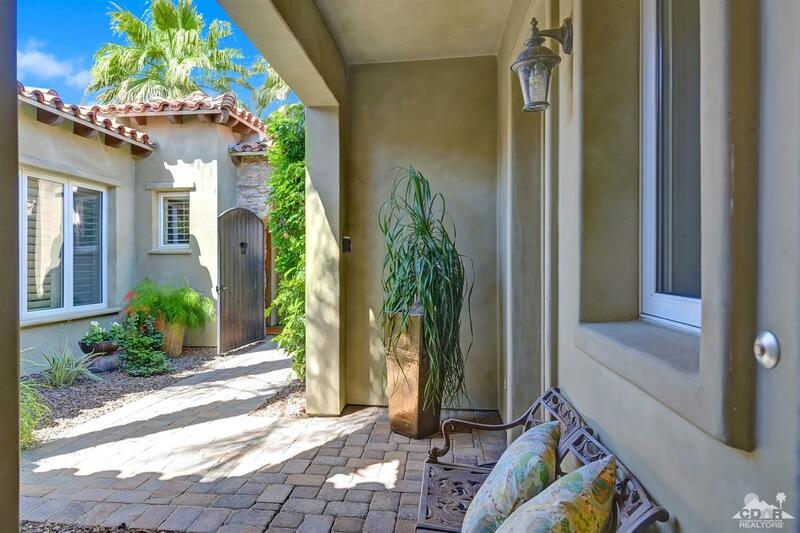 The curb appeal is breathtaking with the professionally landscaped front drive, stone archways & accents, and pavers leading through the courtyard up to the front door. 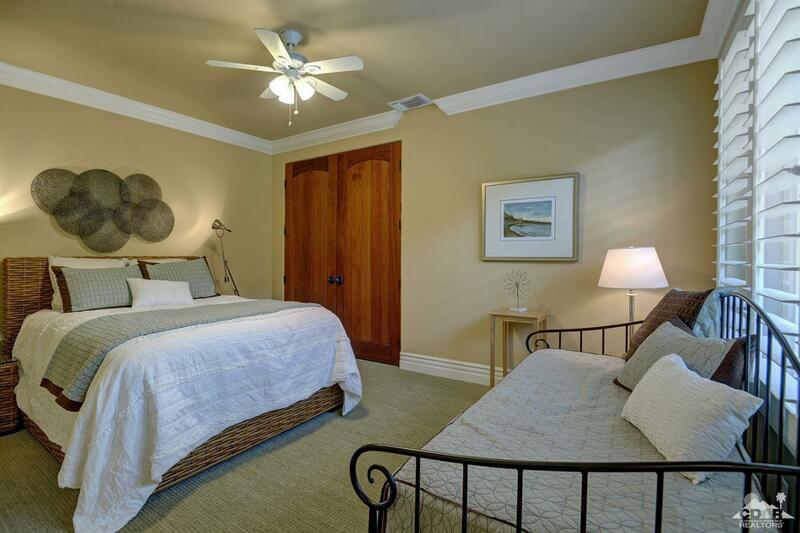 Inside the home features three bedrooms and 3 bathrooms, including an attached casita. 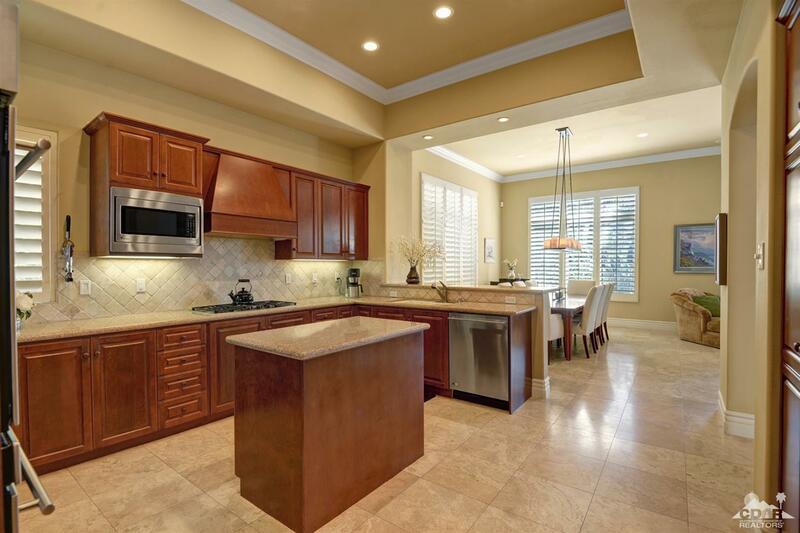 Crown moldings, travertine floors, granite countertops, shutters, & a large cook's kitchen are just a few of the upgrades within the home. 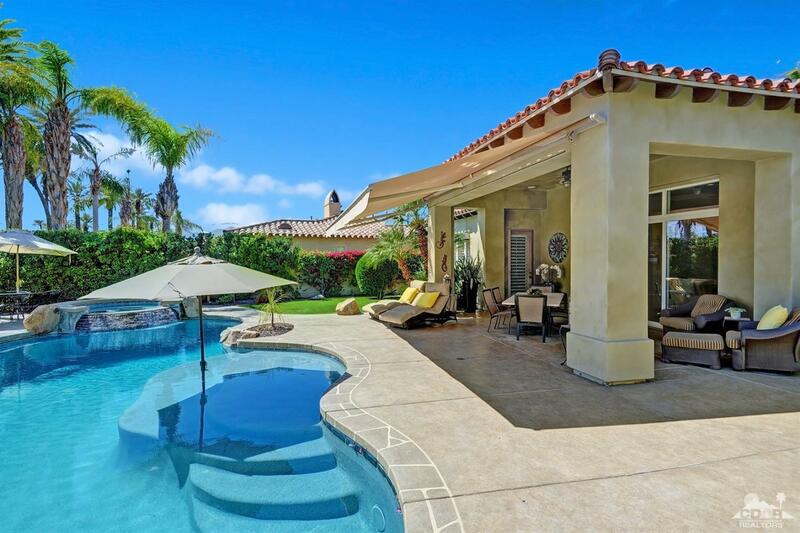 A custom pool/spa and waterfall add to the gorgeous views seen from the patio area. 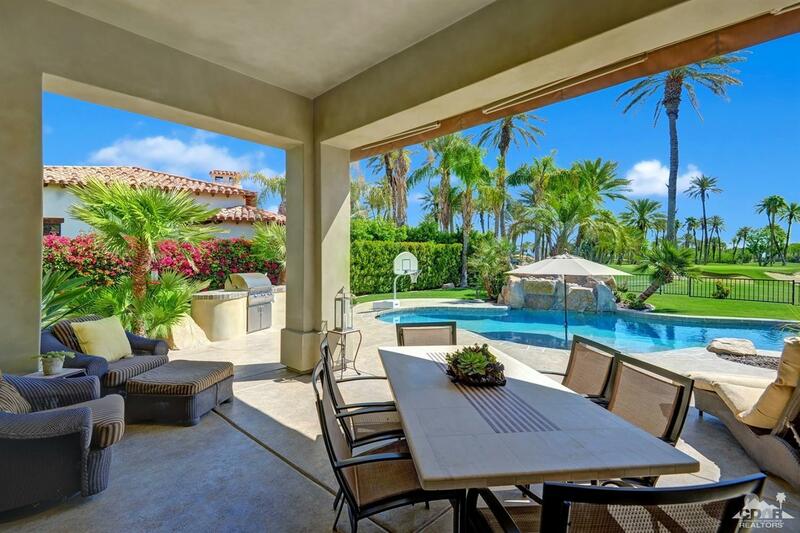 The large patio hosts multiple elegant & private lounging areas surrounding the pool/spa as well as a lovely built-in BBQ island. 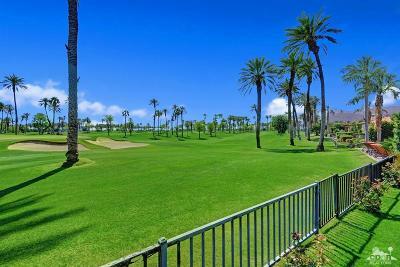 And, all this while enjoying those beautiful views! 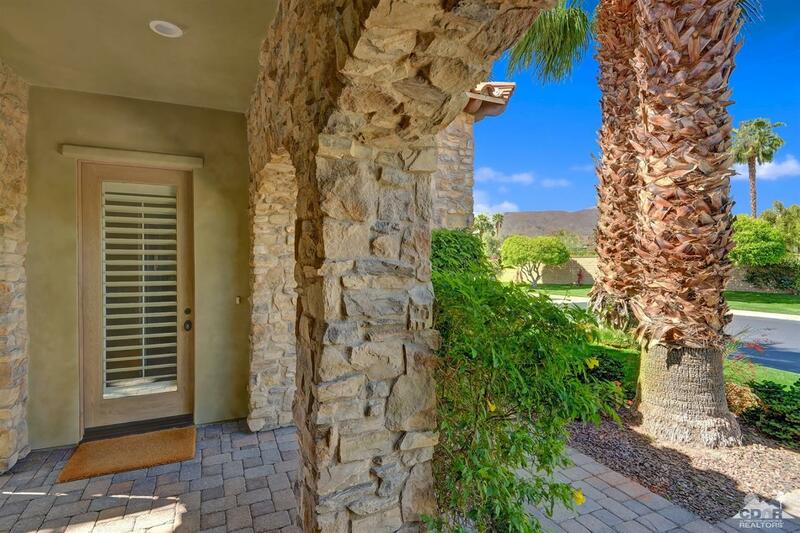 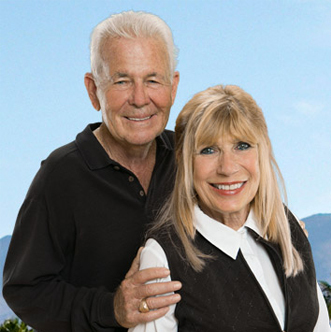 The Palms is a lovely small & very popular gated community with a gorgeous golf course and very few homes for sale, because of the popularity of the community. 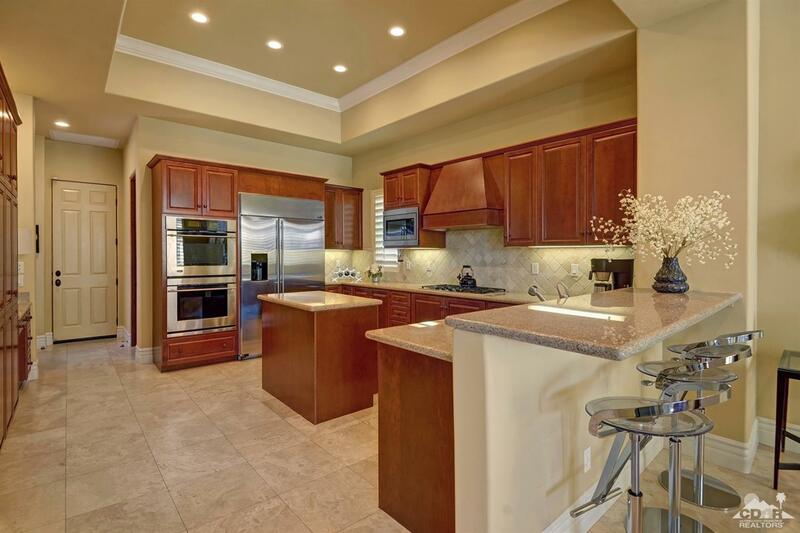 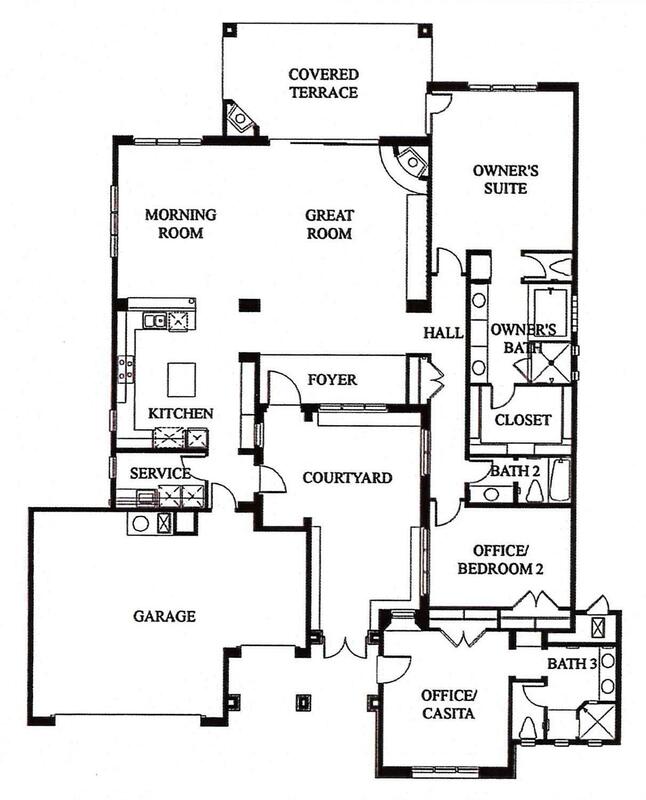 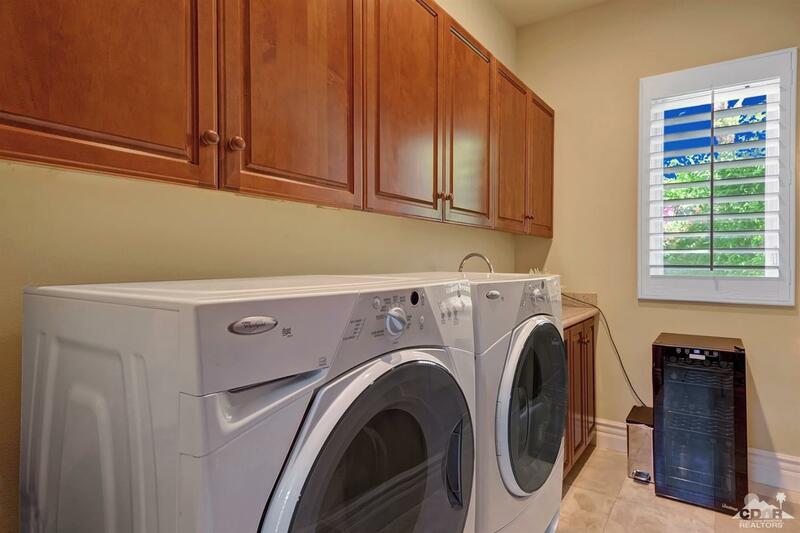 Come see this home today, you will be thrilled that you did!